That's it from us today. Hope you've enjoyed the action, if possibly not all of the results. Enjoy the rest of your weekend and, wherever your team is in the league, have a great Christmas. Sheffield Wednesday came from 1-0 down to thrash Wolves 4-1 at Hillsborough. Benik Afobe's penalty put the visitors ahead, but Fernando Forestieri scored twice - the first a penalty - to give the Owls a 2-1 lead. And further goals in the second half from Daniel Pudil and Gary Hooper gave Wednesday a comfortable home victory that takes them to within a point of the top six. That's three wins in four games for Steve Evans's men. Preston were reduced to 10 men after 30 minutes when goalkeeper Jordan Pickford handled outside the area. His replacement, 17-year-old Matt Hudson, was beaten in the first minute of the second half when Alan Browne headed into his own net. The visitors pushed on in search of an equaliser but Marco Silvestri made some key saves in the home goal. Leeds move up to 13th in the table. 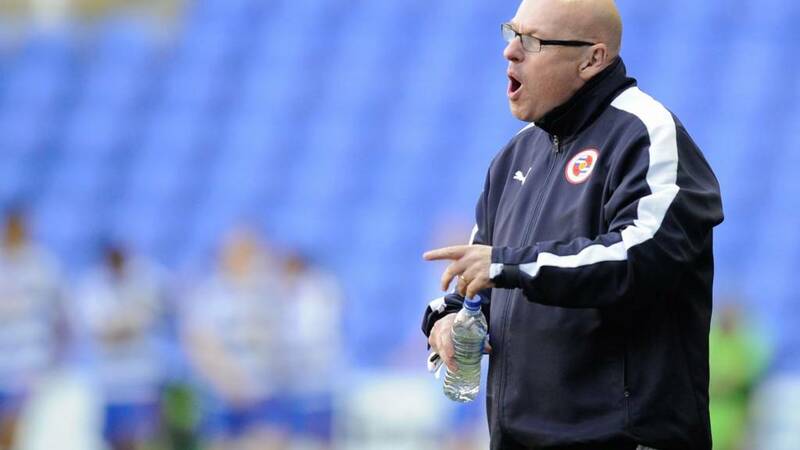 Danny William's superb first-half strike gives Brian McDermott victory on his return as Reading manager. The Royals hang on for what is their first win against Blackburn in almost three decades. Bangaly-Fode Koita calling Jonathan Bond into action deep into injury time to ensure maximum point for the hosts, ending a miserable four-game losing run. The defeat also ended Blackburn's sequence of eight-matches unbeaten. Reading move up to 11th in the table, while Rovers slip to 14th. Four minutes of stoppage time at the Madejski Stadium. Surely going to be a nervy wait for Reading. We're into added time and Leeds are just looking to run the clock down now. Paul Lambert makes the last of his changes for Blackburn and it is an attacking one with Craig Conway making way for Chris Brown. That will be three up front for Rovers as they try to avoid their first defeat in nine games - and their first loss since Lambert became manager. Will Brian McDermott be all smiles at the end of this one? Reading continue to hold their slender lead against Blackburn. The Royals are 10 minutes away from beating Rovers in the league for the first time in almost three decades and from giving McDermott the perfect start to his second spell in charge. Preston are still pushing at Elland Road. We're heading into the last 10 minutes and the 10 men from Deepdale have still got a chance of salvaging something here. Reading pushing hard for a second. Standing in their way is Jason Steele, who keeps Nick Blackman out at his near post. There is also a lengthy stoppage as Adam Henley gets some treatment. Full commentary of both of our remaining games can be found on BBC local radio. Leeds keeper Marco Silvestri makes a smart save from former United midfielder Neil Kilkenny. The Italian keeper then makes himself big to deny Tom Clarke from the resultant corner. The visitors are still in this. Ola John looks to make an immediate impact down the left side. Jason Steele makes a double save to keep the on-loan Benfica winger out. The Dutch international has certainly added spark to the Royals' attack. In Spain, Real Madrid are 8-2 up against Rayo Vallecano - Gareth Bale has scored four times. Can they get to double figures? Follow live text commentary here. Brian McDermott goes to his bench for a second time. Ola John replaces Gareth McCleary out wide for Reading. Blackburn with a double substitution, Ben Marshall makes way for Tom Lawrence and Lee Williamson takes Danny Guthrie's place. Both sides threatening to get the next goal in this one and arguably Blackburn should have had it. Jordan Rhodes and Craig Conway have both been unable to direct efforts on target while Garath McCleary was denied at the other end by a smart save from Jason Steele. Certainly not a done deal yet. Leeds are still totally in control against 10-man Preston but they still only have Alan Browne's own goal at the start of the second half to show for their efforts. Striker Souleymane Doukara is on for midfielder Luke Murphy as the hosts go in search of a second goal that you'd have to think would wrap up the win. Lucas Piazon has been a bright addition for Reading after the break. He finds Hal Robson-Kanu with a neat back-heel pass, but the curled effort doesn't cause Jason Steele any great drama in goal. At the risk of a massive name-drop, thought I'd mention I stood behind a certain Martin Keown in the queue for a half-time cup of tea. Fresh from his punditry on last night's Match Of The Day, Martin is here just in case son Niall, named on the Reading bench today, gets to make a league debut for the Royals.